If you’ve ever given birth, perhaps you’ve experienced it. The “Baby Blues.” Typically the symptoms only last a few days to a couple of weeks, but for a new mother, they can be a horrible addition to her already stressful situation. Signs and symptoms of “Baby Blues” include; mood swings, anxiety, sadness, irritability, crying, decreased concentration, and trouble sleeping. 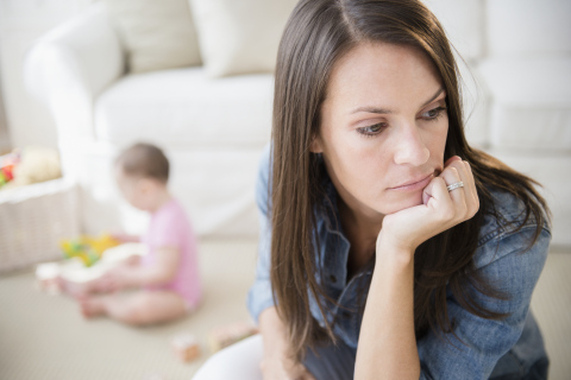 But if the signs and symptoms are more intense and last longer, you may be experiencing Postpartum Depression (PPD). The symptoms of PPD begin to really interfere with your ability to care for your baby, as well as complete your day-to-day responsibilities. If left untreated, postpartum depression may last for many months or longer, and it can pose a serious health risk to both the mother and her infant. Ohio State University scientists have made a remarkable discovery that may actually restore connections between cells in brain regions that are negatively affected by chronic stress during pregnancy, helping ameliorate the overwhelming depression felt by these new mothers, and potentially assisting them in getting back to their lives and their babies. Researchers discovered that rats that had been chronically stressed during pregnancy showed depressive-like behaviors after giving birth, likening these symptoms to postpartum depression. Their research also showed that structures in certain areas of these rats’ brains were less complex than in unstressed rats. Investigators treated the rats with the antidepressant Citalopram. Citalopram, sold under the brand name Celexa, is one medication in the class of drugs known as selective serotonin reuptake inhibitors (SSRI’s). Although it does not have an FDA indication for the treatment of postpartum depression, it is still commonly prescribed for its treatment. The new mother rats demonstrated symptoms that resembled those in humans with postpartum depression. Just like humans, the rats exhibited mood changes and depression with a decrease in their caregiving behaviors. The rats were also unable to experience pleasure (anhedonia) and floated more than unstressed rats during a water test. Apparently, if animals choose to float rather than swim, this means they are showing depressive-like symptoms. The researchers implanted mini-pumps under the skin of mother rats with depressive-like symptoms to administer daily doses of Citalopram for three weeks. After treatment, the neurons in their brains changed, showing normal structural complexity. The rats responded normally during a water test by swimming vigorously, thus no longer displaying the symptoms of depression. Achikam Haim, a student in the Neuroscience Graduate Program at Ohio State and a contributing author on the study, presented this research at Neuroscience 2014, the annual meeting of the Society for Neuroscience. Haim explained, "We saw that Citalopram was effective in improving mood in stressed mothers and completely reversed the stress effects in areas of the brain that our lab has shown are altered by stress during pregnancy." Previous studies have found numerous potential contributors to the development of PPD in new mothers. 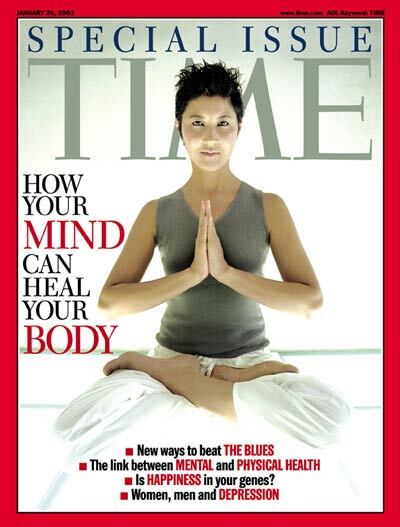 Physical, emotional and lifestyle factors may all play a role. After childbirth a dramatic drop in hormones (estrogen and progesterone) in the body may contribute to postpartum depression. Hormones produced by the thyroid gland may also plummet, which can leave you feeling tired, sluggish and depressed. Changes in blood volume, blood pressure, immune system and metabolism can also contribute to fatigue as well as increase mood swings. Childbirth also leaves a new mom sleep deprived and overwhelmed. It is not uncommon to have trouble handling even the tiniest of problems. Anxiety surrounding your ability to care for a new baby can also present itself. A loss of identity and decrease in self-esteem may even develop. Add to these already increasing struggles, a demanding baby, other children, difficulty breast-feeding, financial problems, and lack of support from your partner or other loved ones can further compound the situation. While clinical signs of postpartum depression are clear, and these numerous other factors contribute, researchers are still working to figure out what happens in the brain when mothers suffer this complex and difficult problem of PPD. Benedetta Leuner, assistant professor of psychology and neuroscience at Ohio State and senior author of the work designed a rat model of postpartum depression to help explain these changes in the brain. Her lab induces depressive-like symptoms in rats by subjecting the animals to chronic stress during pregnancy, which is a known predictor of postpartum depression in humans. "We have a suspicion that stress during pregnancy is somehow altering the reward system in the brain, producing anhedonia and making these depressed mothers less rewarded by their offspring and less motivated to care for them," Leuner said. "It's possible that the effects of stress on the brain circuit regulating reward can lead to these symptoms." The scientists found that the reward center in the brains of stressed rats (the nucleus accumbens) had fewer dendritic spines than did brains of the unstressed rats. Similar research in humans has shown that the reward center in mothers with PPD also doesn’t respond when they hear a recording of their infant crying. "The structural data from our work in rats can at least partially explain that, because neurons with fewer spines, and therefore less input, arguably have lower activation levels," Haim said. If you’ve ever been through it, PPD is devastating and has horrible detrimental effects both in the long and short term. While the news that an SSRI may help overcome PPD symptomatology is optimistic, the onset of action of these anti-depressants is commonly two to four weeks – much too long for a suffering mother and her child. This research has now shone the spotlight on other neurochemical systems to target. "Fixing that impaired maternal functioning is really what's critical in moving forward and developing better treatment options," Leuner states. Conclusion: SSRI's appear to be one potentially effective tool for the treatment of postpartum depression.